Alpha 11 features mostly under-the-hood bug fixes that significantly streamline the gameplay, as well as some additional new goodies that continue to enrich the experience. Oftentimes in these updates, it’s the smaller updates that stand out. One really great change is an intuitive system that highlights the “best” objects to place in a room. As it stands now, the object menu is simply a collection of every object available. This new feature intuitively takes whatever room you may be focused on (what’s in the center of the screen) and highlights the best objects to go in there. For example, if you’re looking at an office, the Desk, Filing Cabinet and Chair will be highlighted. Looking at a cell, the Bed and Toilet will be highlighted. It’s a good way to be able to pick out exactly which things you’re looking for instead of having to dig through the list. In Prison Architect, you have a constant influx of new criminals, so that there’s a new batch shipped to the prison every few minutes. With this, there’s eventually going to be the need for more room. 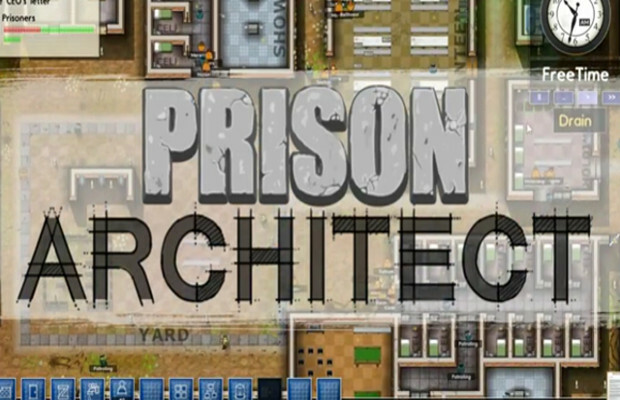 Alpha 11 adds the ability to purchase neighboring plots of land to expand the prison and add more cell blocks or anything the facility might need. The dead bodies tend to pile up from time to time, and the fix for that is that dead bodies are now carried out and shipped off in a hearse If you’ve got a rioting problem in your prison that frequently results in deaths and your morgue just isn’t cutting it, bodies are now moved out of the prison without hassle. This will definitely help reduce clutter around the prison, particularly because when the morgue is full, bodies are simply left where they are. Each prisoner’s unique Rap Sheet shows his sentence and crime, but Alpha 11 now has those sentences count down so that after his time to serve has been fulfilled, he will be released. He will simply go to the main doors, be let out, and walk off into the digital sunset down the road outside the prison. This is another step in giving the game more of a living, breathing feel as each prisoner can now have a definitive “end” to his story, creating a more cohesive world for the prison to exist in. Alpha 11 doesn’t have as many huge new additions as some of the other versions, but like I said, even the little things count for something, and Introversion promises even bigger additions for 12. Outside of the new features, there are also plenty of bug fixes. This being an alpha, there are enough glitches and technical issues to go around, but several of them are repaired by the latest update, including a couple of older alpha features that didn’t work in 10 (such as the useful Clone tool that lets you create quick doubles of foundations for easy cell duplication). The game continues to gain fans, and if you join the alpha you’ll be able to jump into the forums and discuss upcoming features. Check back in a month to see what else the game adds!